Putting good out in the world is just a no-brainer but have you ever thought about creating a marketing campaign around doing good? In today’s social climate people are paying attention to what companies are doing and how they are giving back. In fact the consumer will choose a product or service because of it! Add an element into your marketing that gives back to the community, support a charity, sponsor a community program. Become the face and heart of your local area and build the love! I have been in NYC over the last few weeks working on some very exciting projects for our clients. 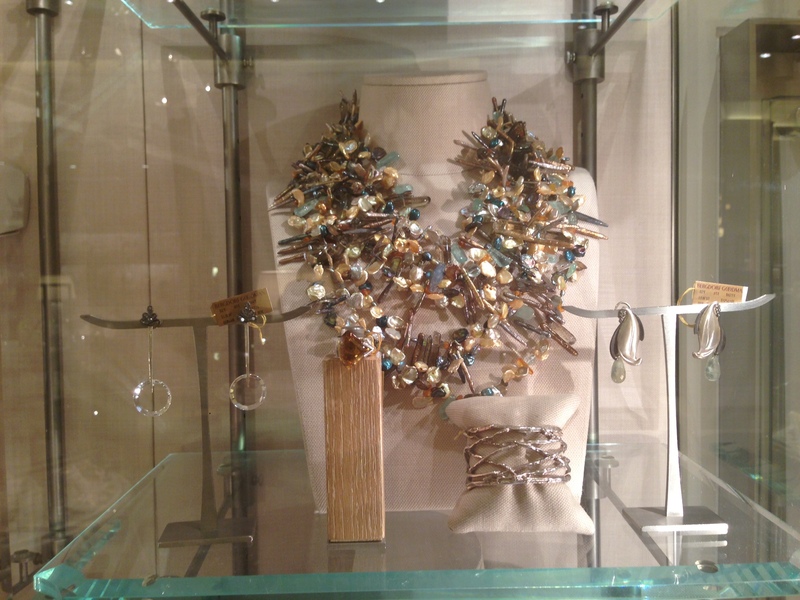 On our way back from lunch this afternoon we ran into this beautiful window display that perfectly portrays today’s tip. 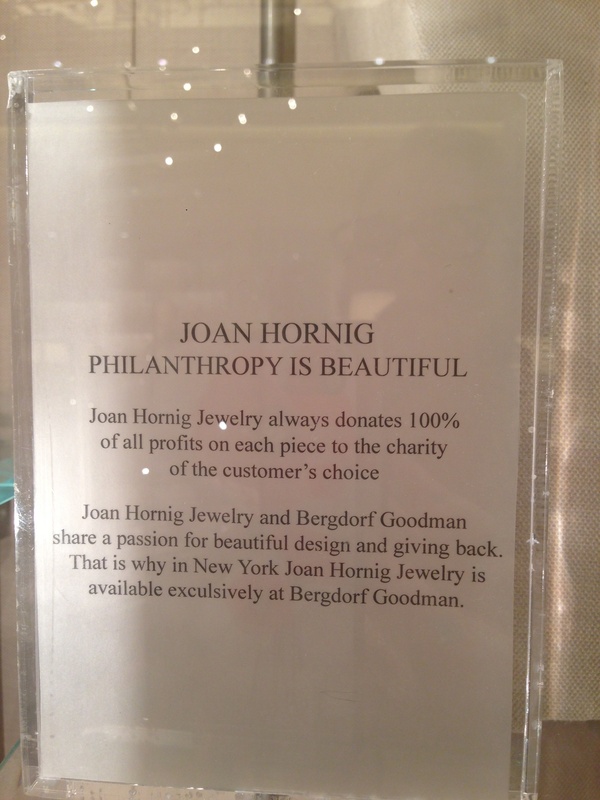 Joan Hornig and Bergdorf Goodman have teamed up to make philanthropy beautiful by donating 100% of the profits from her jewelry line to the charity of the customer’s choice.